RoboCup is a patented portable caddy holder that securely holds two drinks, cups, rods, poles, tools, gear, drum sticks, phone, keys, GPS, personal belongings, glasses and perfect for fishing, boating, boat, golf cart, UTV, trade shows, musicians, drummers, microphone stand, guitar stand, mobility aid, crutches, wheelchair, walker, knee scooter, tractor, equipment cart, pool fencing, patio and more. With no tools required, RoboCup clamps instantly to both round and flat surfaces up to nearly 2" in size. To open (1) hold the RoboCup with the jaws facing away from you and (2) using both hands squeeze the cups inwards using your chest muscles and (3) clamp onto a surface using both jaws equally. The dual rubberized jaws are designed to be leveraged apart from each other and for maximum security can be locked using a 4" plastic cable-tie. The bottom caps are removable for access to clean the RoboCup and for long objects including two fishing poles. The included two hook&loop straps with nylon buckle can be configured in various configurations for your needs. The springs and hardware are stainless steel for rust prevention and with a robust design, the poly resin material has UV-inhibitors added for longevity against the sun. Backed a three year warranty. 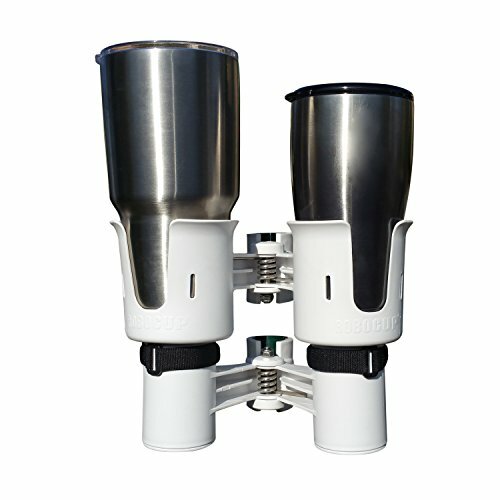 The Winch Wench - Sailboat Cup Holder The Winch Wench is a simple beverage holder that fits in any sailboat winch socket. Just drop the Winch Wench into your empty winch socket and now you have the coolest drink holder standing by and ready for your favorite beverage! NEWLY IMPROVED in JULY 2016 - NOW MADE OF HIGH IMPACT ABS - MADE IN THE USA!!! Our new version is now made of UV Resistant ABS instead of PVC, and 100% MADE IN THE USA! Each Winch Wench will also now come in a beautiful printed gift box as shown. Designed by the famous Captain Woody, the Winch Wench was invented by Woody after nearly 100,000 sea miles including his circumnavigation in a 28' sailboat. The Winch Wench is not just for bottles and cans, but can also be used to hold other items such as small tools or rigging tape, your favorite bottle opener or small snacks. It's very portable and easy to store; just lift it out of your winch and stow it away. 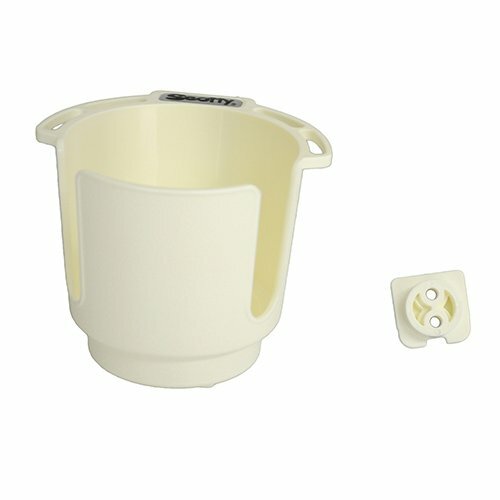 With one-piece construction and no moving parts to break, this cup holder is sure to give you years of use on your boat. The Winch Wench is designed to fit a standard size insulated coozie (coozie not included). Practical drink holder easily snaps to vertical 1 1/4" diameter tubes with a clockwise twist and removes with a counter-clockwise twist. I.D. of 3 5/8" is suited for cans and bottles with insulated sleeves. Cut-out also accomodates mugs. 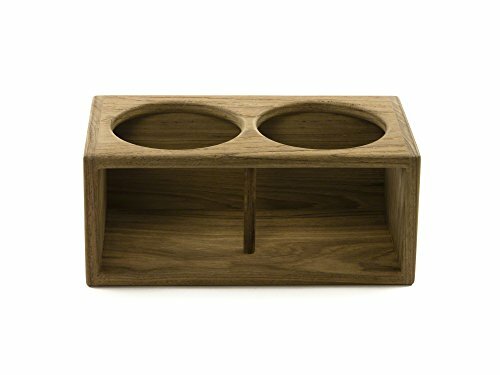 Whitecap Teak 62612, Two Insulated Drink Rack. Whitecap teak accessories are produced from the finest teak lumber certified by the government of Thailand as harvested from managed forests. Our teak is produced in the same factory, in Thailand, that has been supplying the North American marine industry for over 40 years. Whitecap teak products are made from kiln dried, fully aged teak wood. To ensure strength and durability, each of our handcrafted products uses traditional assembly techniques, such as dove-tail and mortise and tenon joints. All screw fittings are countersunk and plugged. Only high-quality waterproof adhesive is used. Each item is sanded and finished by hand to a rich elegant luster. No other species or origins of wood are used in our products, nor are veneers. All our products are made of solid teak. 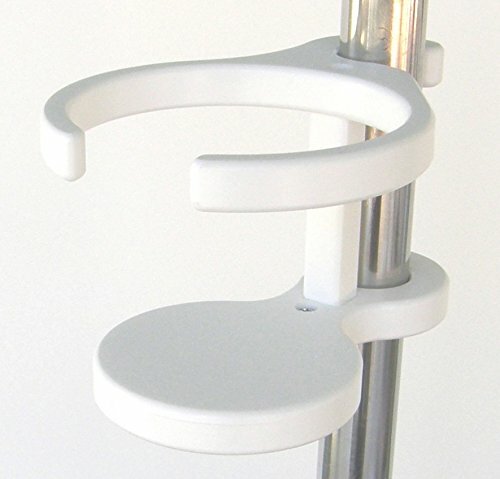 Yoebi Wine Glass Holder. Fits into existing cup holders. Patented Technology and Made in USA. Available in 4 colors: Black, White, Beige, and Clear. 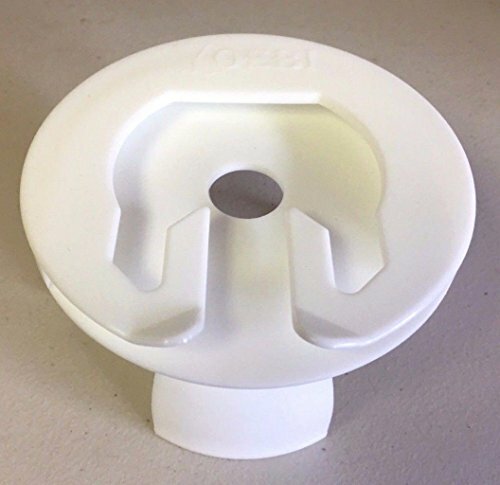 Perfect for Boats, RVs, Hot Tubs, Home Theater Seats, Golf Carts, Limos and More. Just place the Yoebi into a cup holder and slide the base of your stemware into the slot in the top. The Yoebi holds the glass securely in pace and allows easy removal. No more tipping or breakage. Enjoy your wine in style with the Yoebi and say goodbye to the Solo cups. 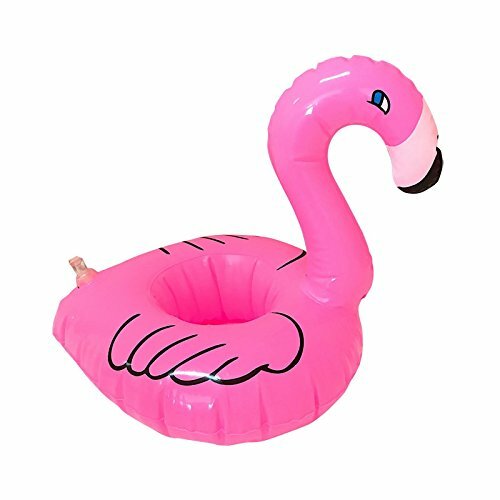 A healthy body with curvy and toned figure is your body goal?Float will help your to gain that goal!Applicable People: Women Model Number: Mini Pink Flamingo Drink Holders/pool toy float Item: Inflatable Drink Can Holder/pool float Inflatable Drink Can Holder: Swimming Toypedo Bandits/pool float drink holder Applicable People: Kids/Adults pool toys kids Holder Diameter(Approx): 8.5cm Type: Mini Pink Flamingo Drink Holders/pool toy float QTY: 1 Piece Flamingo Drink Holder What are you waiting for? Press the "ORDER" button now!Note: Please select size and product measurements before purchasing.Shipping time will be from 25 - 30 days.Thank you! 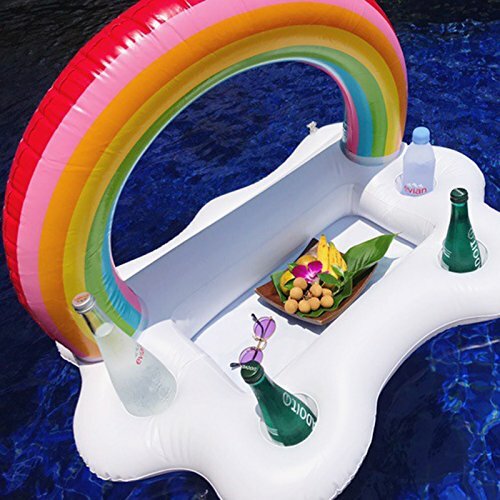 If you are bored and tired after a long working day, and you need a tool to relieve stress and anxiety soFloat is your best solution!Applicable People: Women Model Number: L0512 Style: White Clouds Drink Holder Fashion: Swimming Pool Decoration What are you waiting for? Press the "ORDER" button now!Note: Please select size and product measurements before purchasing.Shipping time will be from 25 - 30 days.Thank you! A healthy body with curvy and toned figure is your body goal?Float will help your to gain that goal!Applicable People: Child Model Number: DJSZB Type 1: Swimming Ring Place: Beach,Swimming Pool,Vacation Gender: baby boy girl ,children kids,mujer,female,men Material: Eco-friendly PVC What are you waiting for? Press the "ORDER" button now!Note: Please select size and product measurements before purchasing.Shipping time will be from 25 - 30 days.Thank you! 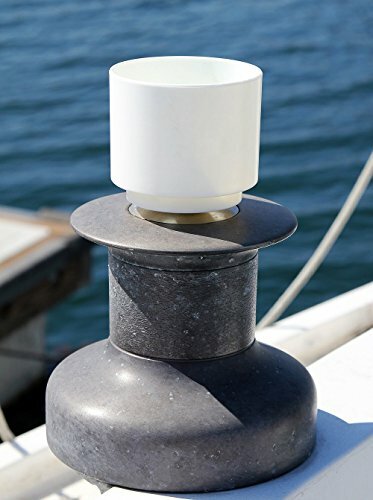 Looking for more Sailboat Drink Holders similar ideas? Try to explore these searches: Long Sleeve Green Jersey, Molded Demi Cup Bra, and Viper Elbow Pads. 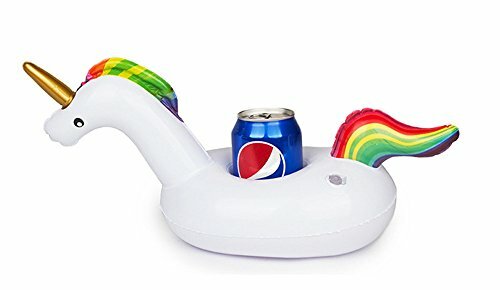 Look at latest related video about Sailboat Drink Holders. Shopwizion.com is the smartest way for online shopping: compare prices of leading online shops for best deals around the web. Don't miss TOP Sailboat Drink Holders deals, updated daily.